Use it as a comfortable pet bed with its plush cushioned base that’s richly filled with fluffy PP cotton. 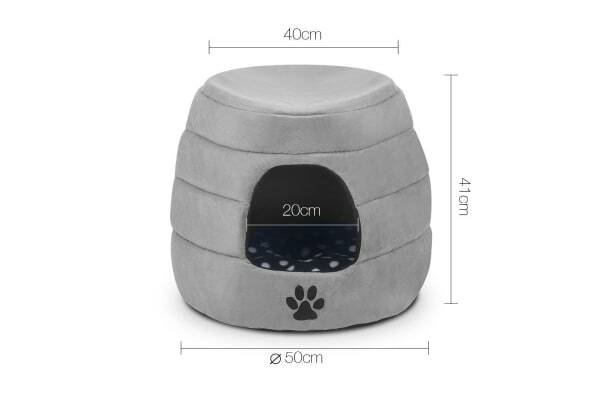 It’s nice, warm and soft all round for Rover and Tabby to snuggle up for a rest or snooze. 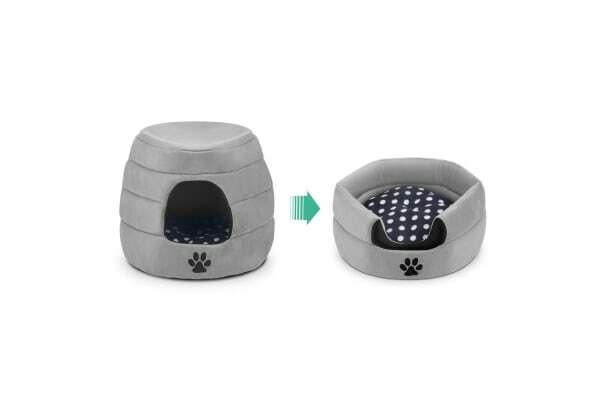 And when things get a tad chilly or just for the fun of it, the Pet Bed can be converted into a cosy Pet Cave Bed by removing the cushion and lifting up the cute canopy top. 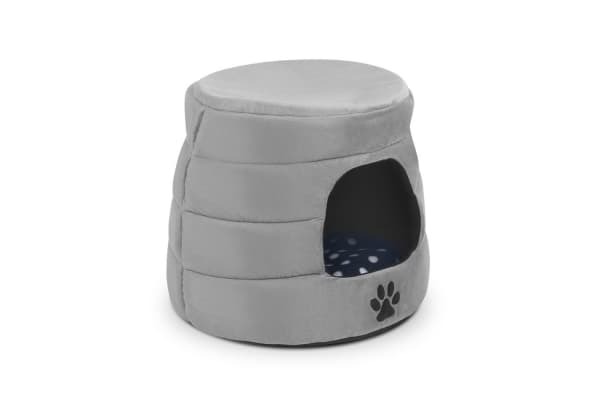 Simply replace the fleecy cushioned bed and the Pet Cave Bed is ready to serve your pet-jesty’s pleasures.